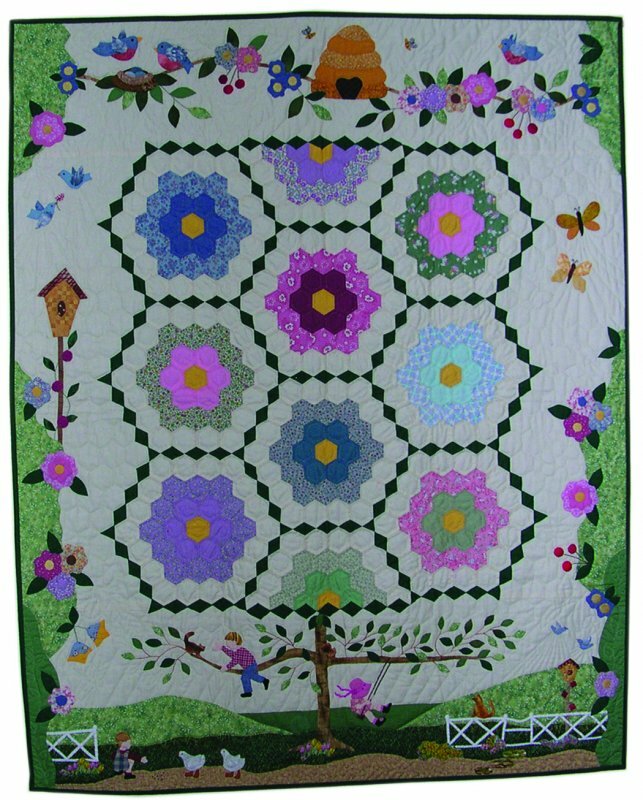 This quilt was designed for Cathy's granddaughter, Danielle. It celebrates her love of quilting. 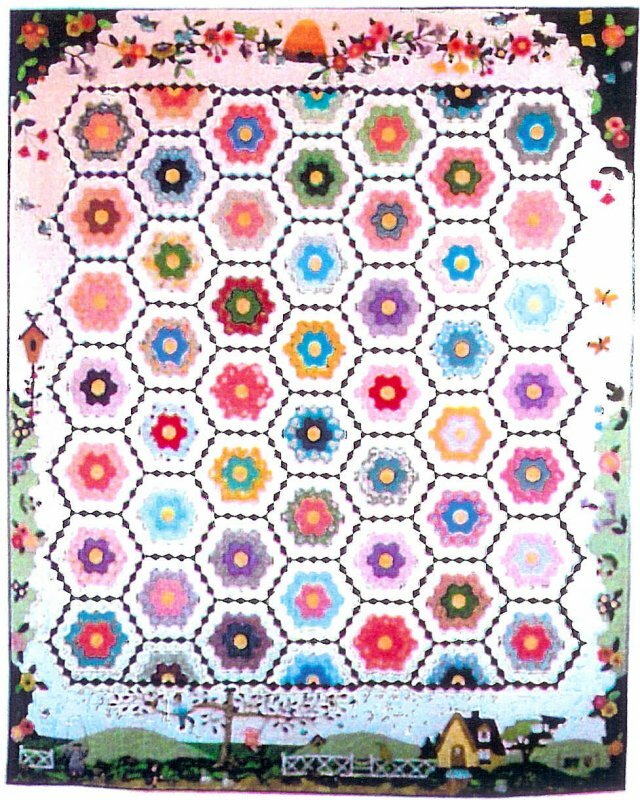 This quilt is pieced with an appliquÃ©d border. The border can be fused or needle-turned. 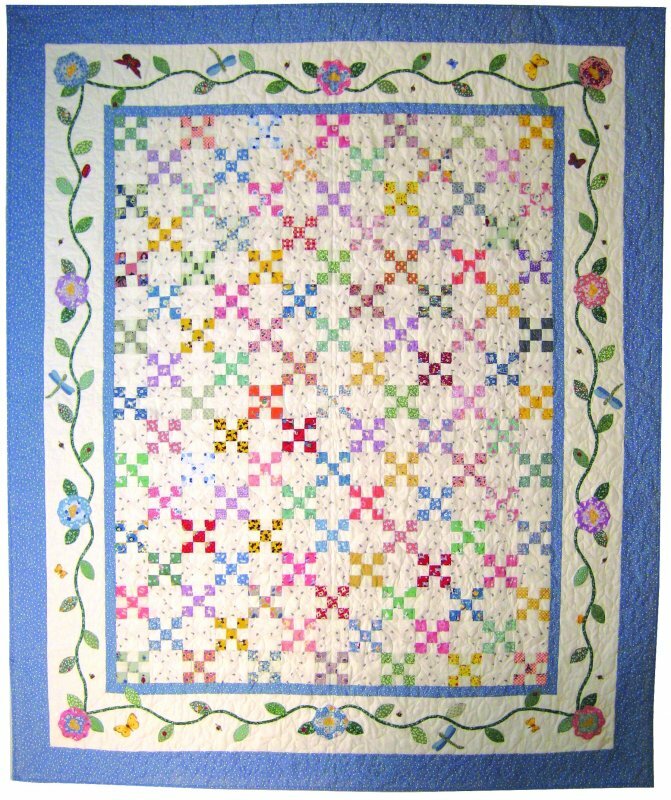 Quilt measures 48 " x 58"
This is a smaller version of the Day in Grandmother's Flower Garden quilt. The cottage scene is slightly different. The border is a full size appliquÃ© pattern. 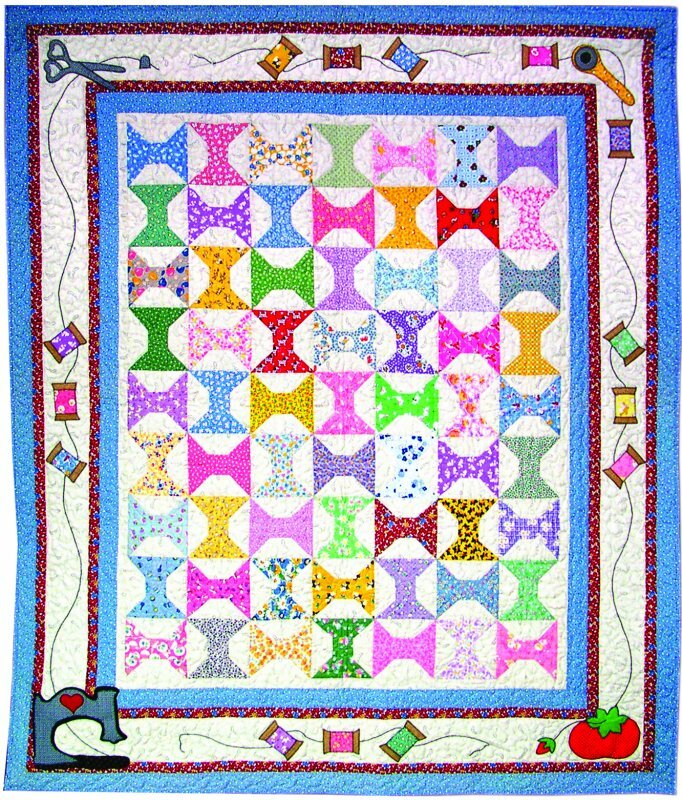 Quilt measures 42" x 54"
This is a perfect project for the novice quilter. It has a pieced nine patch and hourglass center with a fused border. The border can also be appliquÃ©d, if desired. Quilt measures 58 1/2 " x 71"